"What identifies a steward? Safeguarding material and human resources and using them responsibly are one answer; so is generous giving of time, talent, and treasure. But being a Christian steward means more. As Christian stewards, we receive God's gifts gratefully, cultivate them responsibly, share them lovingly in justice with others, and return them with increase to the Lord." 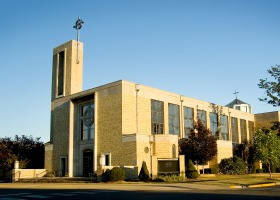 St. Paul Parish offers many opportunities for it's parishioners to be engaged in parish life and ministry. Please visit the page for each unique ministry listed in this section of the website. Click here to see our Stewardship Guide and a listing of Time and Talent opportunities.